Found 5 file extension associations related to Command and Conquer: Tiberian Sun and 3 file formats developed specifically for use with Command and Conquer: Tiberian Sun. 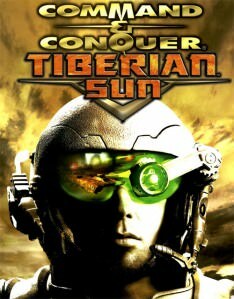 Command & Conquer: Tiberian Sun is the sequel of the very popular real-time strategy computer game Command & Conquer. The main story line describes the second major war between Global Defense Initiative (GDI) and Brotherhood of Nod (NOD). The story takes place in the near future after the first Tiberian war that won GDI. Tiberian Sun was released in 1999 and supports high resolution graphics, solo and multi-player gaming, contains video sequences with well-known Hollywood actors. Tiberian Sun is now distributed as a freeware. If you need more information please contact the developers of Command and Conquer: Tiberian Sun (Electronic Arts, Inc.), or check out their product website.